With one of the most complete inventories of popular electronics, appliance and computer parts, chances are we have what you need when you need it. Can’t find it? We can. 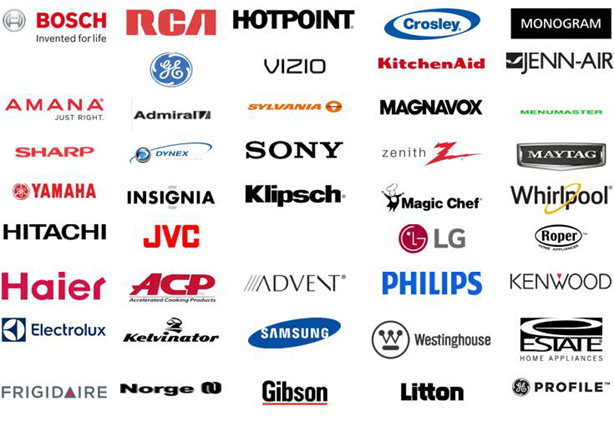 With our in-depth research and sourcing capabilities, we can track down any part from any manufacturer. Contact us to learn more about how we can help. VALUE: Andrews Select parts are identical in function and quality to the OEM parts but cost 20-50% less, increasing your profitability for each job. AVAILABILITY: In many cases, the OEM part is NLA or is back-ordered for a significant length of time. Substituting an Andrews Select part will allow you to complete the repair more quickly, resulting in more billings and happier customers. RELIABILITY : Andrews Select Parts carry a 90 day warranty, the same as the OEM part. The advantage is that warranty claims are all handled by Andrews, with quick replacement and credit. No need to track paperwork with multiple OEMs… one phone call is all you need to make. To find if your part has an Andrews Select option using our online ordering, find your part number as you normally would, and then do an extra search using the same part number but leave the Manufacturer field set to "all". Now you'll see the OEM version and any Alternatives. Any parts that have a manufacturing code starting with an "E" are Andrews Select parts. Search for Andrews Select Parts Now!